What type of special are you? 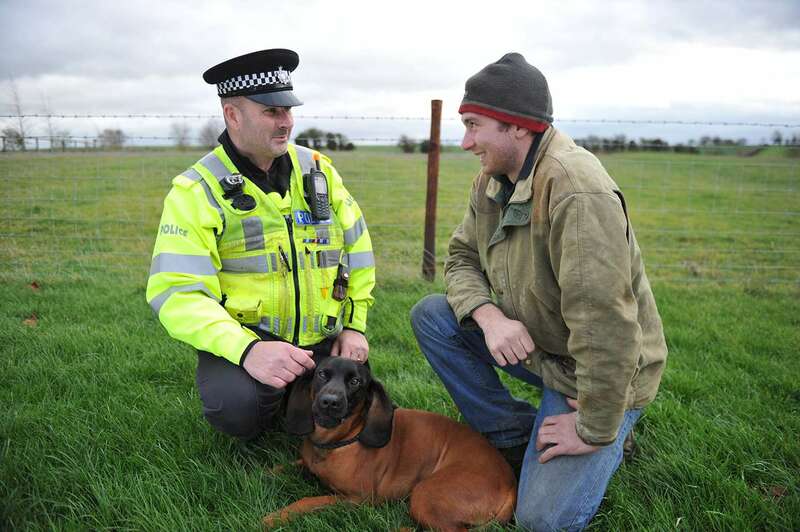 Take a look at the 'day in the life' of a typical Special Constable. Thank you for your enquiry. 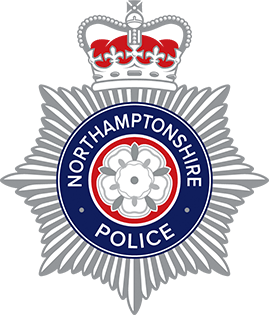 Please check your email for the next steps in becoming a Northants special constable. Thank you for your callback request. We will contact you on the day specified. 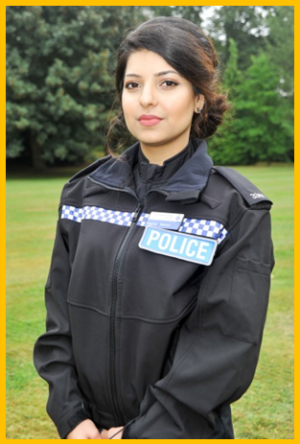 Nayhaa Saleem, 22, from Northampton applied to join Northants Police in October 2015 after successfully graduating with a Degree in Criminology. Nayhaa passed the application stage after submitting her application online and quickly moved on to complete her interview before attending an Assessment Centre in November 2015. During the Assessment Centre, Nayhaa sailed through the literacy test and observational exercise but came across a hurdle during the fitness test. One of my biggest challenges in the recruitment process was the fitness test. I went to the gym and built my upper body strength and also received a lot of support from the chair of the Muslim Police Association. They organised for me to go into the police gym and speak to the gym instructor so I could get advice from her. What motivated me to overcome it was the fact that I did not want to let me size or my strength come in the way of what I wanted to do." Nayhaa took the time to prepare for her second attempt at the fitness test and passed in February 2016. In March 2016, Nayhaa began her training which at the time was spread across 12 weekends. Once she had successfully passed the training, Nayhaa attested in May 2016. "Half of the training was classroom based and half was physical training. The training atmosphere was full of excitement and the trainers were absolutely amazing. Every single one of them was happy to help at any point and always so supportive. I was always a bit worried I might not be able to do certain techniques but every single trainer encouraged me so much and explained it's not about height or size and they would show me techniques where I could bring down a man twice my size. Every single trainer was so dedicated to make us learn and understand and they were determined to make us pass, they would help us again and again until they were sure we understood or could do something properly". Nayhaa attested at the University of Northampton along with 26 other Officers on May 25th 2016 and officially became a Warranted Officer. Nayhaa had her Mother, Father and two younger Sisters in attendance to support her on the night and celebrate her achievement. "I am a 22-year-old Muslim female. For me, being a Muslim officer means a lot. Firstly, because I want to change people's views on Muslims, I want to show that we are a part of this community as much as they are and what we are doing is for this community." Many of Nayhaa's family play a huge part in volunteering for Northants Police. Her Mother, Saima Saleem, attested as a Special Constable in 2014 and Nayhaa's younger sister, Narmeen Saleem, is a Cadet eagerly awaiting her 18th birthday so that she too can join the Constabulary. My encouragement to become a Special Police Constable came from my mum. Watching her get ready for her shifts, feeling so excited and coming back home so pleased with herself when she helped someone or when she stopped a crime taking place, it really inspired me. Her passion and love for the job made me want to be part of the force as well." 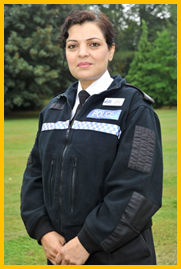 Saima Saleem, who is in her early 40s, was a full time mother to three daughters including Nayhaa, until she became a Special Constable in August 2014 and undertaking a BA Policing degree at the University of Northampton. "Every single day is different. What I like most in my role is that I get to help people and keep them satisfied with my work. And by helping them feel safe with us around. Before joining Northamptonshire Police, I had never worked. I had no work experience as I had always been a house wife. Facing an interview was a really big obstacle for me as I had no idea what to expect or what kind of example I could give to them. 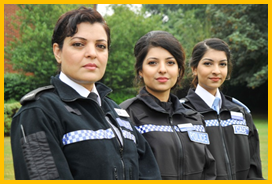 As a Pakistani woman, being a special constable is a big thing. I always wanted to join the police force but never had the courage. But when my husband saw my passion towards the police, he told me to join. He has been such a huge support for me. After failing my first interview, I wasn't disheartened at all but instead I was even more enthusiastic after the support I received. I failed my fitness test because I am that person who always parks the car nearest to the lifts! But I tried again and with the help of gym instructors and coaching from officers I finally passed." During the week Nayhaa works full time, balancing her full time job with her policing hours successfully. Nayhaa's role as a Fraud Advisor meant that she had already acquired investigatory skills which were transferrable into her role as a Special Constable. In my other role, I work as a Fraud Advisor for Metro Bank. It is a full time job and I do work 5 days a week and do policing over the weekends. I do get asked a lot about how I can even be bothered to work over the weekend and not have days off, but doing policing is something I enjoy so much, I don't even see it as a job." I would definitely say life as a special is better than expected. I never realised we would actually be given this much responsibility and the fact that the public cannot tell who is a Special Constable and who is a Regular Officer really helps as they cannot treat us any differently and we are all police officers in their eyes." After attesting, Nayhaa completed her first duty one month later with a Specials Integration Development Officer (SIDO) to ensure she was ready to move on and complete her duties with a Regular Officer. During her first duty, Nayhaa was introduced to the various computer systems, issued a Personal Development Plan (PDP) and given an idea of what her future duties may entail. I was very nervous for my first shift but they gave me the confidence to speak to people and helped me do everything I was nervous about, for example, I was not confident with using the radio and they specifically made me talk on the radio and told me exactly how to do it, boosting my confidence to use it next time." Within four months of Nayhaa attesting, she had already contributed over 90hrs to her policing role whilst working full time performing a wide variety of duties. "Since attesting, my shifts have included doing various things and some also quite random. On one of my shifts I climbed on top of a lorry to see if I could see the driver from the sun roof. 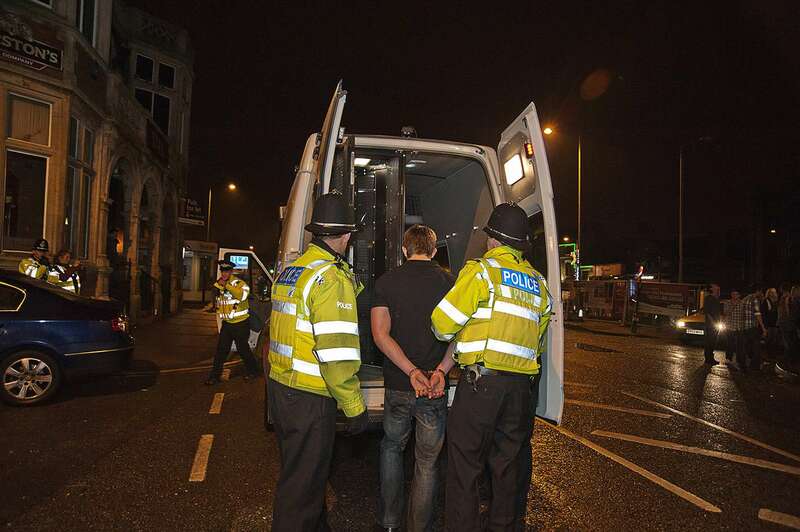 On another I was assisting an arrest, holding down a man's legs as he was very drunk and violent. A day can include anything from a domestic to a missing person or a road traffic accident. I love the fact that every day is so different, you never know what to expect when you go on duty. It's always so exciting and helping people gives you such satisfaction and it makes you feel proud of yourself. It's an amazing feeling." Come along to one of our Application Awareness Evenings where you will be given advice and guidance about the recruitment process and can chat with the team. These are held across the county and upcoming events are publicised on an ongoing basis - click your desired date for more information. 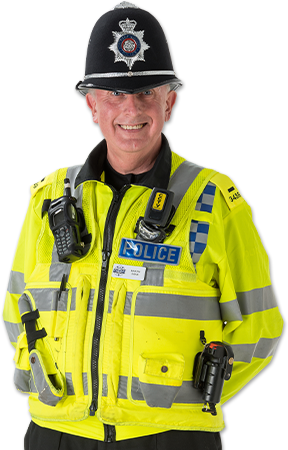 A Parish Special Constable is an experienced Safer Community Team Special Constable who has achieved independent patrol status. As a Parish Special Constable, you will be the visible presence of policing in a specific area; in some ways this is a reintroduction to having a “Bobby on the Beat”. 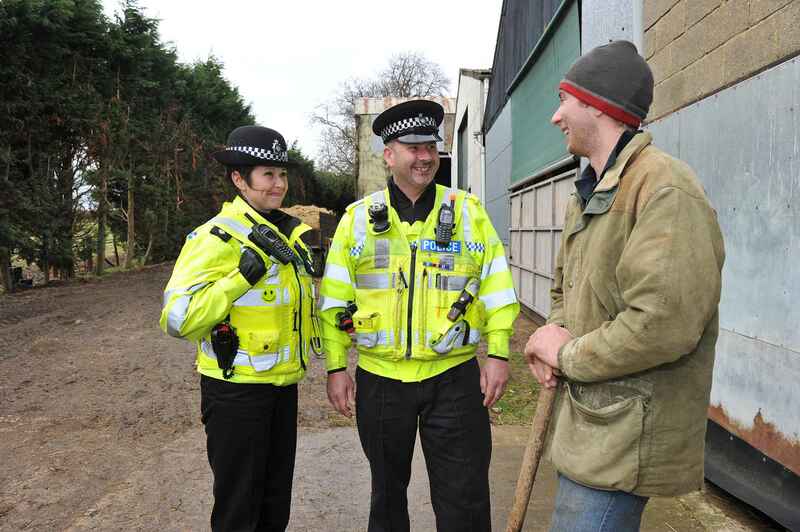 Parish Special Constables look to meet the community's needs by working with local organisations such as the local Parish/Town council and community groups. You can police a specific village; group of villages; ward; or area of your choice and work within the local Safer Community team alongside regular officers and PCSOs, and will be the dedicated resource and ‘specialist’ on the area you police. Duties will include: high-visible patrols; intelligence-gathering; tackling the “low level crimes” such as such as anti-social behaviour; littering; dog-fouling; and traffic-related issues – such as speeding and HGV policing; being the hub of the community - setting up wider voluntary schemes to address a community’s issues, for example Speedwatch. 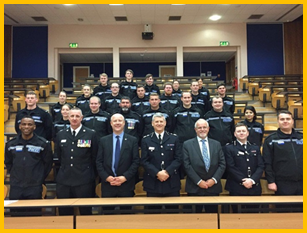 We also encourage Parish Special Constables to attend local events and heighten the Police’s presence in schools and the community, educating about crime prevention and building relationships with members of the community.